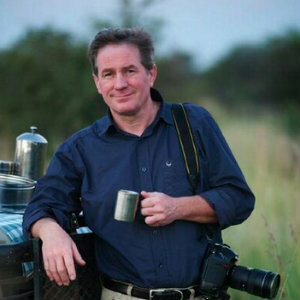 The 22nd annual Witte Lectures, a high profile series from the Newport Beach Public Library Foundation (NBPLF), will be kicking off this month with Hanna Rosin on Jan. 25 at 7 p.m. Other renowned speakers on a variety of compelling topics will include Richard Blanco, Amy Walter, and Joel Sartore appearing through April. Friday, Jan. 25 at 7 p.m. and Saturday, Jan. 26 at 2 p.m. Purchase tickets here. The #MeToo climate has created a stunning year of revelation and change. Author Hanna Rosin has researched and lectured on this unfolding topic of the male/female dynamic in the workplace and world at large. She is the author of The End of Men and the Rise of Women, a national bestseller that addresses this sensitive topic with deft humor and insightfulness. She is a regular contributor to The Atlantic and Slate. Rosin is also the co-host of the acclaimed NPR show, INVISIBILIA, a program about the invisible forces that shape human behavior. Be sure to join us for Hanna Rosin’s researched view on a most contemporary topic: how men and women are going to work and live side by side in these hypersensitive times. Friday, Feb. 8 at 7 p.m. & Saturday, Feb. 9 at 2 p.m. Purchase tickets here. 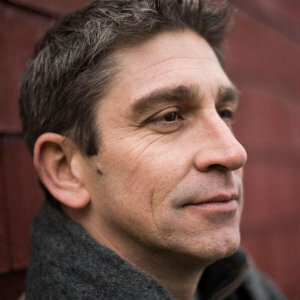 Richard Blanco is the author of numerous award-winning works such as The Prince of Los Cocuyos: A Miami Childhood and An Inaugural Poet’s Journey. He is the fifth presidential inaugural poet and the first Latino immigrant to serve in such a role. Born in Madrid to Cuban exiled parents and raised in Miami, the themes of his books center on the negotiation of cultural identity and place in society. Whether speaking as the Cuban Blanco or the American Richard, the homebody or the world traveler, the civil engineer or the civic-minded poet, Blanco’s writings possess a story-rich quality that illuminates the human spirit. Friday, March 8 at 7 p.m. and Saturday, March 9 at 2 p.m. Purchase tickets here. 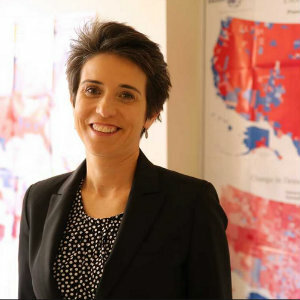 Amy Walter is the national editor of The Cook Political Report where she provides non-partisan analysis of issues, trends and events that shape the political environment. Over the past 19 years, she has built a reputation as an accurate, objective, and insightful political analyst with unparalleled access to campaign insiders and decision-makers. Known as one of the best political journalists covering Washington, she is the former political director of ABC News. She is also a regular panelist on NBC’s Meet the Press, Fox News’ Special Report with Bret Baier and CBS’s Face the Nation. According to Charlie Cook of The Cook Political Report, Amy’s “work is trusted and respected by Democrats and Republicans alike. Friday, April 12 at 7 p.m. and Saturday, April 13 at 2 p.m. Purchase tickets here.